Taliban fighters stand handcuffed near seized weapons as they are displayed to the media at a police headquarters in Jalalabad on March 2, 2013. 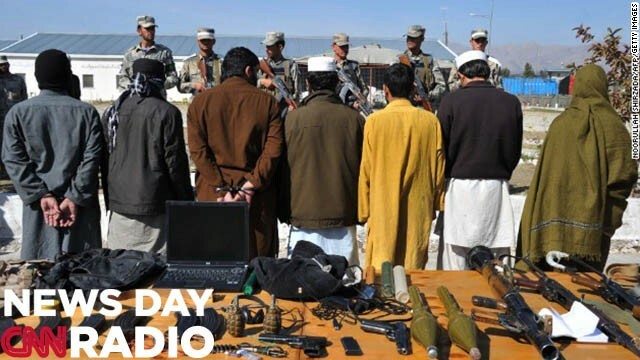 Seven Taliban insurgents have been arrested with their weapons by Afghan border police during an operation in Ghani khel District of Nangarhar province. "Despite all the fighting, all the hundreds of billions of dollars that is being spent, the thousands of lives lost, U.S. is yet to win this war."